The Red Hills Horse Trials will be held in Tallahassee from March 6-9 at Elinor Klapp-Phipps Park. This prestigious event will feature competitors from across the United States trying out for the US Equestrian Team that will compete in the 2014 World Equestrian Games, to be held in Normandy, France, in August. Tryouts will take place on an exciting new 3,611 meter course with 32 unique obstacles to challenge both rider and horse. The mission of the Red Hills Horse Trials is to raise funds to benefit non-profit organizations with compatible educational and environmental purposes, promote cooperation between equestrian enthusiasts, and to promote resource protection, land preservation, and land management. 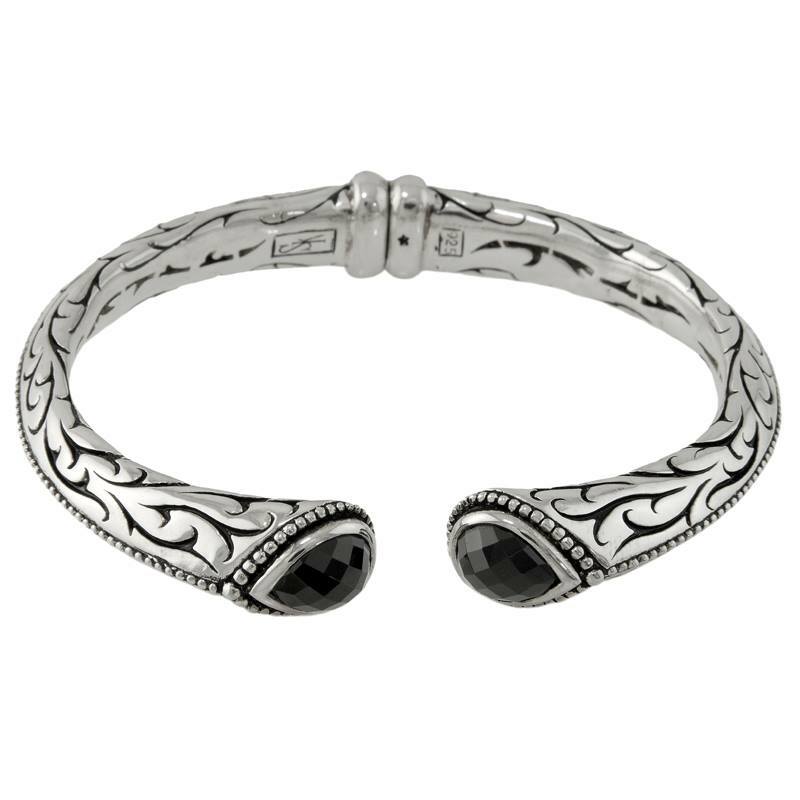 The Gem Collection has donated this beautiful Engraved Sterling Silver Onyx Cuff to support the Red Hills Horse Trials. To view more beautiful Scott Kay designer jewelry on our website, please visit our online Scott Kay Jewelry gallery. For more information on the Red Hills Horse Trials, please visit their website.